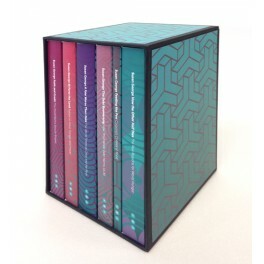 The Transnational Institute brings together Susan George’s oeuvre in this beautiful handmade boxed set of her six classic books. With a new preface, and new designs the six paperbacks span the first 20 years of her work on the key global economic justice issues of our times. If you are concerned about world hunger and debt, then these classics will give you an excellent grounding as to why these problems are still with us. How the Other Half dies. The real reasons for world hunger. Feeding the Few. Corporate control of food. A Fate Worse than Debt. The world financial crisis and the poor. Ill Fares the Land. Essays on food, hunger and power. The Debt Boomerang. How Third World debt harms us all. Faith and Credit. The World Bank's secular empire. First published by Penguin Books in 1976. Hunger is not a scourge but a scandal. This is the premise of Susan George's classic study of world hunger. Contrary to popular opinion, malnutrition and starvation are not the result of over-population, of poor climate or lack of cultivatable land. The reason why hunger exists on such a vast scale is because world food supplies are controlled by the rich and powerful for the wealthy consumer. The multinational agribusiness corporations, Western governments with their food 'aid' policies and supposedly neutral multilateral development organizations share responsibility for the fate of the undeveloped countries. Working with local elites, protected by the powerful West, the United States paves the way and is gradually imposing its control over the whole planet. How the Other Half Dies was written after the World Food Conference in 1974. Yet the needs remain the same and the book's relevance, its ability to shock and its power to enrage have in no measure deminished. First published by the Institute for Policy Studies in 1979. This study is a contribution to the Transnational Institute's International Economic Order Project directed by Howard M. Wachtel. It is an attempt to place issues concerning food and agricultural commodities in the context of changing world economic relationships. The first part deals with what the Third World is asking for; the second with what, in my view, it is actually getting. As one discussion after another on agricultural raw materials ends in stalemate, new kinds of food systems are meanwhile introduced in underdeveloped countries by powerful nations of the North, led by the USA. The study is intended, however, less to provide answers than to suggest a critical perspective and perhaps some new tools for analysis of the ongoing takeover of Third World food systems, designed in the image of the developed countries for their benefit. First published by Penguin Books in 1988. How did the Third World countries accumulate a staggering trillion dollars' worth of debt? Who really shoulders the burden of reimbursement? How should we deal with the debt crisis? Susan George answers these questions with the solid evidence and verve familiar to readers of 'How the Other Half Dies'. Debt-induced economic austerity is destroying the lives of countless Third World people who derive no benefit from the borrowed billions but must now make great sacrifices to bail out their elites. Nortern economies stagnate and unemployment soars as the South serves the banks first and slashes imports. Nature pays too, as natural resources are cashed in to service debt. Yet the crisis could be a fantastic opportunity to create greater economic justice. With enough popular pressure in both North and South, the 3-D solution - Debt, Development, Democracy - could make debt an instrument not of oppression and despair but of liberation. First published by Penguin Books in 1990. 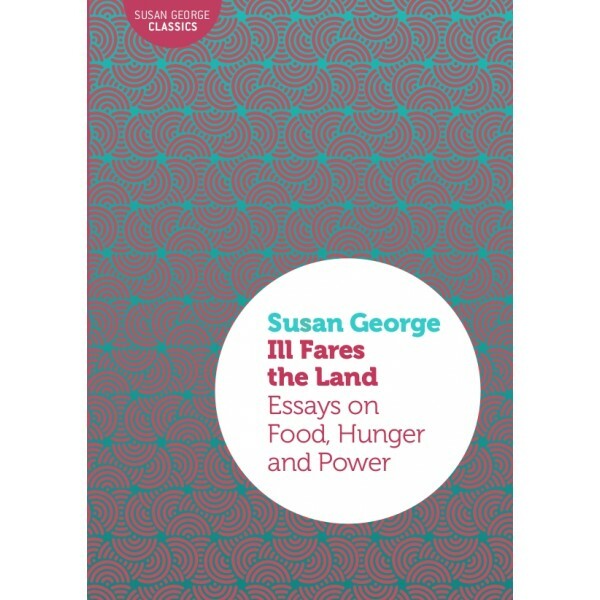 The essays collected in this volume expand on one of the major themes of Susan George's work: the role of power in perpetuating hunger. The causes of poverty and hunger are not to be found primarily among the poor and the hungry but rather in their relationships with the powerful - locally, nationally and internationally. Just as poverty lies behind hunger, so injustice and inequality - within and between nations - lie behind poverty. These twelve essays expand that analysis: some deal directtly with food systems, hunger or famine; others ask who determines our assumptions and knowledge about poverty and hunger. All are concerned with the means by which some groups gain ascendancy over others. 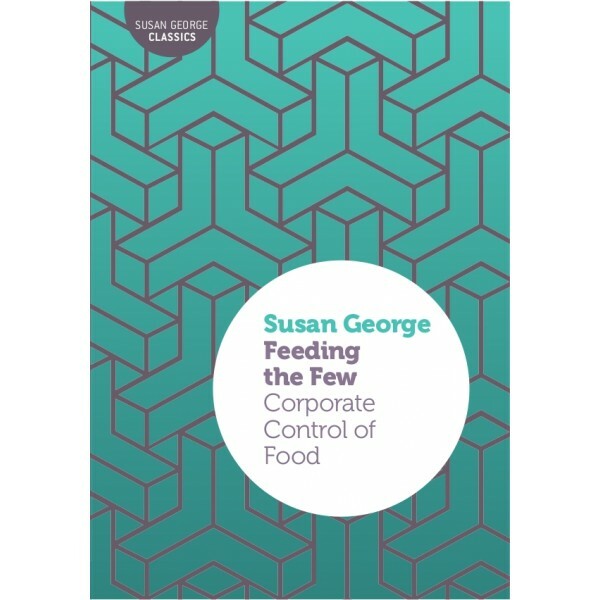 Whether she deals with biotechnology or the "transfer" of technology, with development research or the ideal university, Susan George demonstrates with characteristic commitment and conviction that the rich and powerful who control the world food system control technology and ideology, scholarship and culture as well. This dangerous hegemony is absolutely central to the horrors of hunger. First published by Pluto Press in association with the Transnational Institute in 1992. Countless livelihoods and lives have been devastated by so-called structural adjustement imposed by the International Monetary Fund and world bank in a misguided attempt to deal with the problem of debt in the third world. But debtor nations in the third wolrd are not the only victims of the present crisis. In an unsettling but lucid critique, The Debt boomerang shows that we in the North must also pay the price of World bank and IMF policies that have accelerated deforestation, encouraged mass migrations, fuelled an expanding drug trade and heightened global instability and conflict. Our taxes underwrite the irresponsible and short-sighted load policies of the banks, and sustain the downward spiral of global indebtedness. 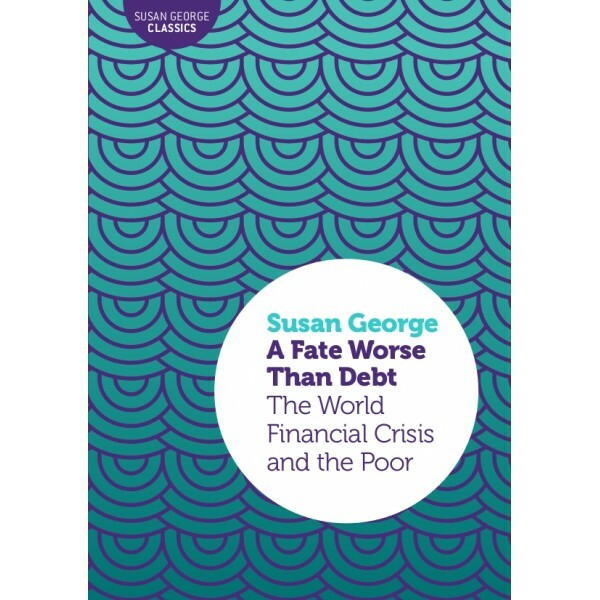 ‘We must all read Susan George’s new book… a must for all those who are determined to shake the complacency of the developed world, and in so doing, find a way of resolving the problems of the debt to the benefit of all mankind’ - Robin Stott, Global Security Susan George is an Associate Director of the Transnational Institute and the author of several books on North-South issues including How the Othe Half Dies, A Fate Worse than debt, and Ill Fares the Land. She also serves on the International Board of Greenpeace. First published by Penguin Books in 1994. In its fifty years of existence, the World Bank has influenced more lives in the Third World than any other institution yet remains largely unknown, even enigmatic. Although it claims to be a purely economic institution, the Bank wields enormous political power and has succeeded in making its own view of development appear to be the norm. 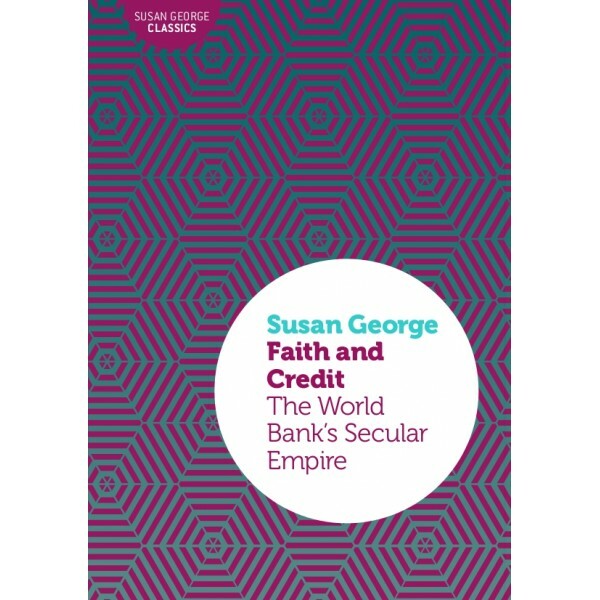 In this richly illuminating and lively overview Susan George and Fabrizio Sabelli examine the Bank's policies, its internal culture and the interests it serves. They reveal a supranational, non-democratic and extremely powerful institution which functions much like the medieval Church or a monolithic political party, relying on rigid doctrine, hierarchy and a rejection of dissenting ideas to perpetuate its influence. Its faith in orthodox economics and the capacity of the market to solve development problems is incompatible with its professed goals of helping the poor and protecting the environment. Burdened by these insoluble contradictions the Bank today increasingly struggles to reconcile the roles of commercial lender, policy maker and great humanitarian.